About Amy Berry - Amy Berry Law, P.A. "...one of the top lawyers in our state." In 2003 the North Carolina State Bar certified Amy as a specialist in Workers’ Compensation. In 2006, she became a certified mediator in both Superior Court and with the North Carolina Industrial Commission. Amy Berry is known as a tenacious fighter who protects her client’s interests as though they were her own. Amy graduated from UNC-Greensboro in 1993 with a BA in communications. She went on to graduate from the Norman Adrian Wiggins School of Law at Campbell University in 1998. While in law school, Amy completed an internship at the North Carolina Industrial Commission. In 2003, she was certified by the North Carolina State Bar as a specialist in workers’ compensation. A native of Burlington, NC, Amy is a member of the Rams Club and an avid Tarheel fan. She coaches youth sports in the local recreation department. Amy currently resides in Alamance County where her Burlington office is located. Amy is a member of the North Carolina Advocates for Justice and the American Bar Association. 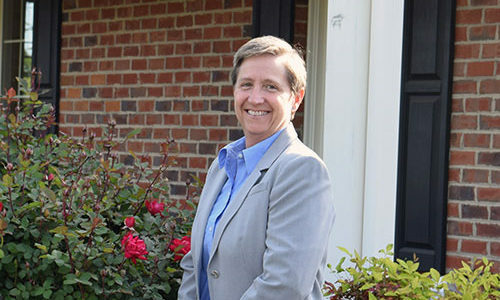 In 2006, she became a certified mediator in both Superior Court and with the North Carolina Industrial Commission.